BoneStation’s first Epic integration occurred recently at a major Massachusetts medical center. This center has six DXA bone density screening locations which report BMD studies. Bone density tests are read via BoneStation, a browser based application with centralized database, and reports are made available to clinicians via Epic. Before integration, the reports, after being reviewed in BoneStation, needed to be printed and scanned into Epic. This process greatly delayed the availability of bone density reports. 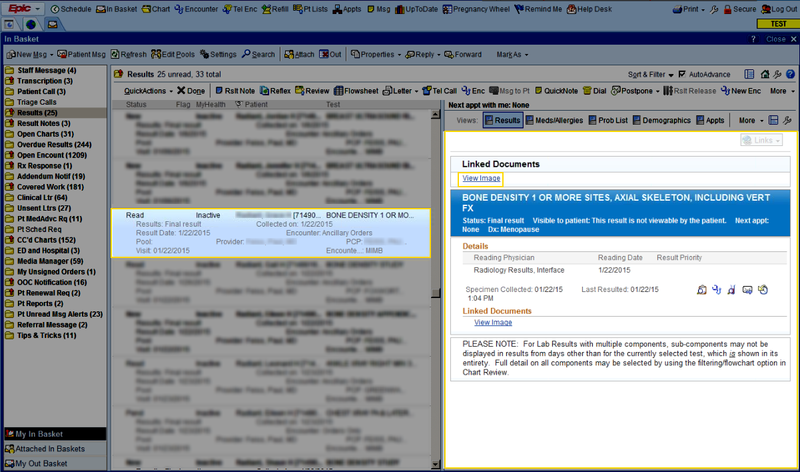 After integration, bone density reports are available in Epic within seconds of being read. BoneStation provides richly formatted reports with tables, images, and graphs. It was desirable to have these available to referring physicians. 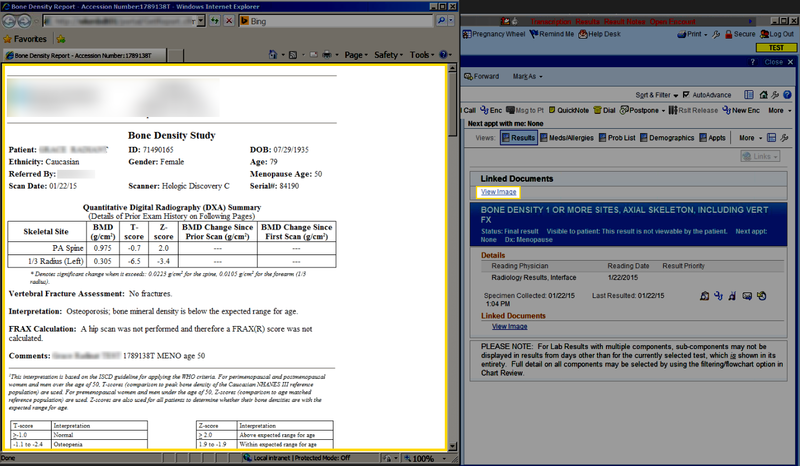 The BoneStation Portal, which works in conjunction with the HL7 interface, provides fully formatted reports in Epic. Clinicians are also notified when a bone density result arrives for one of their patients. The HL7 interface triggers this mechanism when a bone density report is finalized in BoneStation and transmitted to Epic. Clinicians are then notified via their “In Basket”. The first BoneStation interface to Epic was successful in accomplishing the medical center’s three major objectives, thereby increasing both the effectiveness and efficiency of their bone density testing practices.